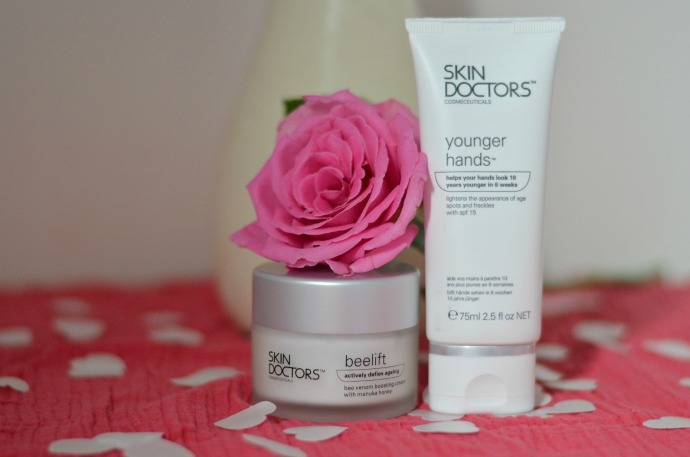 I was recently sent some lovely items to include in a Mother's Day gift guide which included Skin Doctor's Beelift face cream and Younger Hands hand cream. I am only a few days into using them, but I am really enjoying pampering myself and looking after my skin. 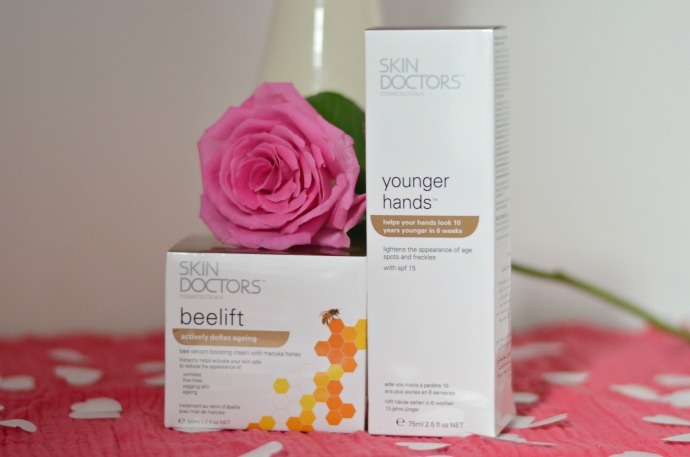 Beelift helps fight premature ageing ensuring that your skin is nourished, renewed and revitalised. Beelift contains the Bee Venom (Melittin), Manuka Honey, the collagen treatment Trylagen® and Hyadisine® - a complex mix of peptides, amino acids, proteins and key enzymes. Together these ingredients trick the skin into thinking it has been lightly stung, instantly working to control facial muscles for cumulative tightening, lifting, plumping and firming of the skin. I have a wonderful Mother's Day bundle to give away consisting of beelift, younger hands and a pair of The White Company cashmere socks, total RRP is over £100! his is perfect for the Queen Bee in your life and entry is via the simple rafflecopter form below. My mum is my Queen Bee! My daughter - only 4 but definitely the bossy one! My daughters - they are certainly the Queen Bees in this house! My little girl likes to think she is!! My mother! she knows everything and never turns washing grey! We don't have many women in the family so if have to say it was me! That has to be my mum. She has a great BS detector and even though I am 49 now, she doesn't let me get away with anything. My mum is definitely my Queen Bee. My daughter ! We try to not let her rule the roost but she does ! My Queen Bee is my Grandma. She is the heart of the hive. She is the kindest lady I have ever known, so we all look after her and keep her close. My mum or daughter! Lucky to have lots of lovely ladies in my life. My mum, she will always be the boss. my daughter is my queen bee! The Queen Bee in my life is my daughter she is ruler of the roost she knows she has me wrapped around her little finger. It's gotta be me since I am the oldest surviving member of our clan! My Auntie Josie, she's amazing!